- Charity Events! Concerts! 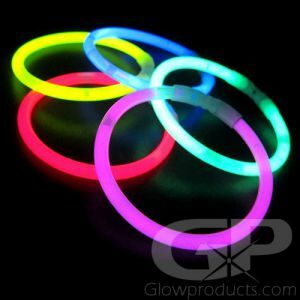 Birthday & Glow Parties! 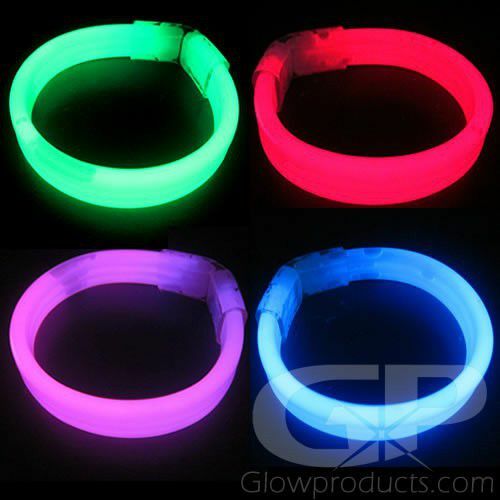 Assorted Color Wristband Glow Bracelets - 80 piece pack is an assorted color mix of glowing wristband bracelets that comes with 20 each of Green, Blue, Red and Pink banded glow bracelets. 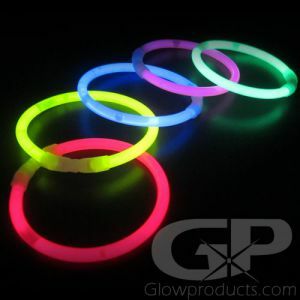 The brightness of these thick glow bracelets is ideal for any glow party, festival or night sports event. 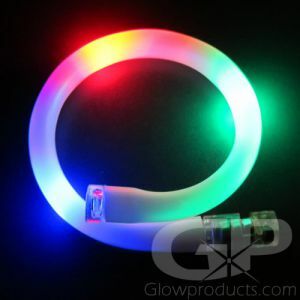 Light up your guests at your charity gala or make sure only VIPs with light up wristbands are allowed in! 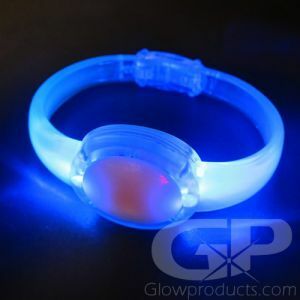 Glowing wristbands are waterproof which makes them the perfect light up bracelet for pool parties. 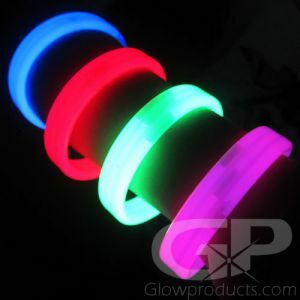 These big, wide glowing wristbands are perfect for getting your event, company logo or website custom printed. 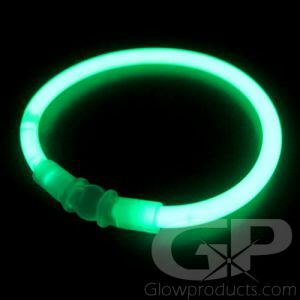 Give us a call at 1-877-233-4569(GLOW) and we can help you get your glow in the dark wristbands personalized! 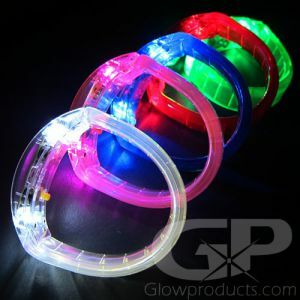 Instructions: Bend along the length of the glow wrist band bracelet to break the inner glow capsules. Shake to mix and start the glow effect! 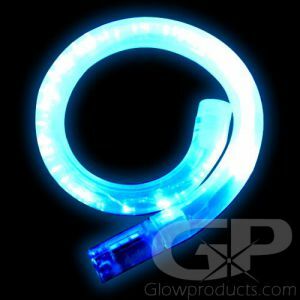 Bend the thick glow bracelet in a loop and insert the end into the connector. 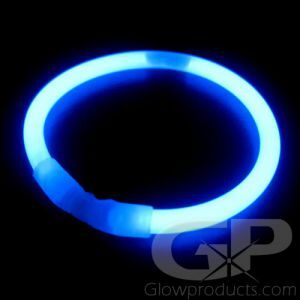 Glowproducts.com glow in the dark wristbands are Duralume brand glow so the brightness, reliability and consistency is assured.